Spartans are known as some of the most skilled warriors in all of history. These warriors fought for the city-state of Sparta in ancient Greece. This area was known for creating one of the most sophisticated militaries in ancient times. Now, you can purchase the 2016 1 oz Silver Niue Warriors of History Spartan Proof Coins from Silver.com. Arrives in warrior-themed rectangular case with textured cover and Certificate of Authenticity. Third release in the Warriors of History Series. 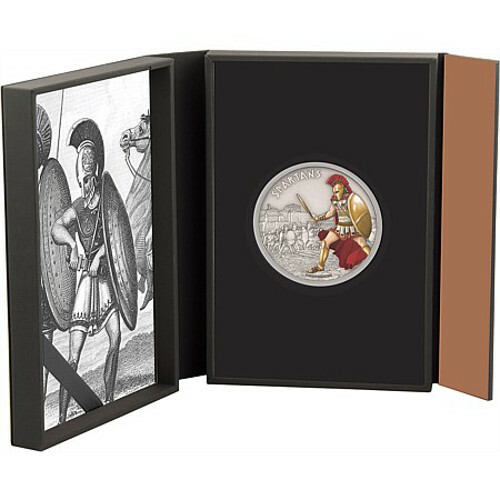 Reverse includes a colorized Spartan warrior. Proof coins with colorized design and antique finish. The Spartan Empire became the preeminent power of ancient Greece by defeating all the other Greek city-states. The Spartans were able to do this, because of their powerful warriors. Since the Spartan Empire used slaves for manual labor, the men in the society could spend a lot of time training to become Spartan warriors. Training started at a very young age. These warriors were known for their ability to beat almost any opposing army, even when the odds were against them. The Battle of Theropylae is a great example of this. Just 300 Spartan warriors overcame a large Persian Army. The story was told in the movie 300. 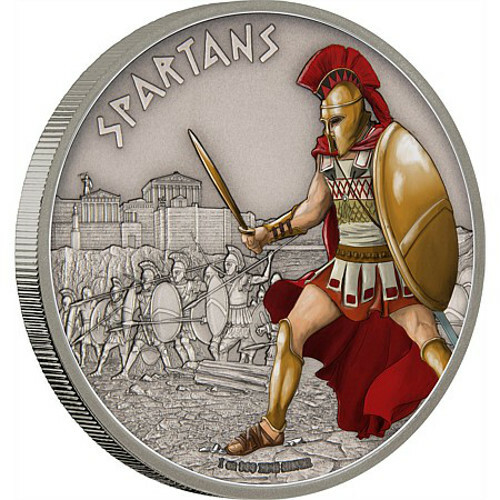 The reverse of each 2016 1 oz Silver Niue Warriors of History Spartan Proof Coins show a Spartan warrior. His red and gold military helmet and robe are seen in brilliant color. Behind him, you can see the rest of the army at the ready. The obverse of these coins show the right-profile portrait of Queen Elizabeth II. In 1998, Ian Rank-Broadley created this image, which is the fourth that shows Queen Elizabeth’s likeness. These are proof coins, however, they have a special antique finish. A chemical treatment aids in creating this aged look. Each coin will ship in a themed shipper box from the New Zealand Mint with a Certificate of Authenticity. 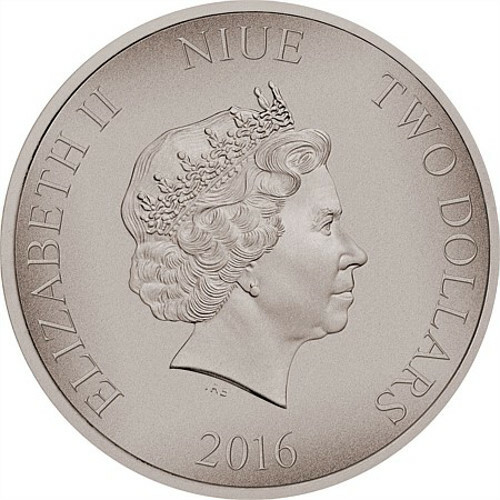 These coins were minted by the New Zealand Mint for the country of Niue. The New Zealand Mint is a private operation located in New Zealand. It is the only mint in the country. 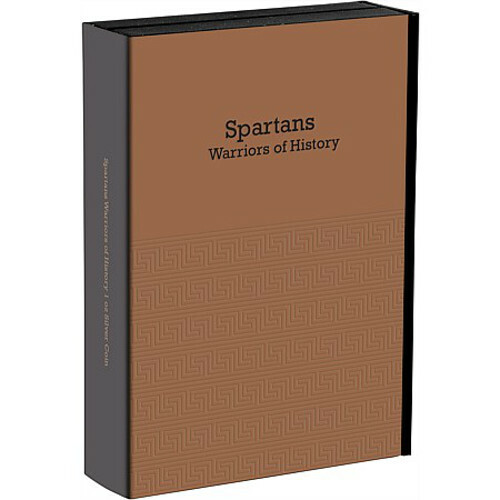 If you have any questions about the Warriors of History Series or these Spartan Coins, please don’t hesitate to contact Silver.com at 888-989-7223. We’re also available online using our live chat and email features.